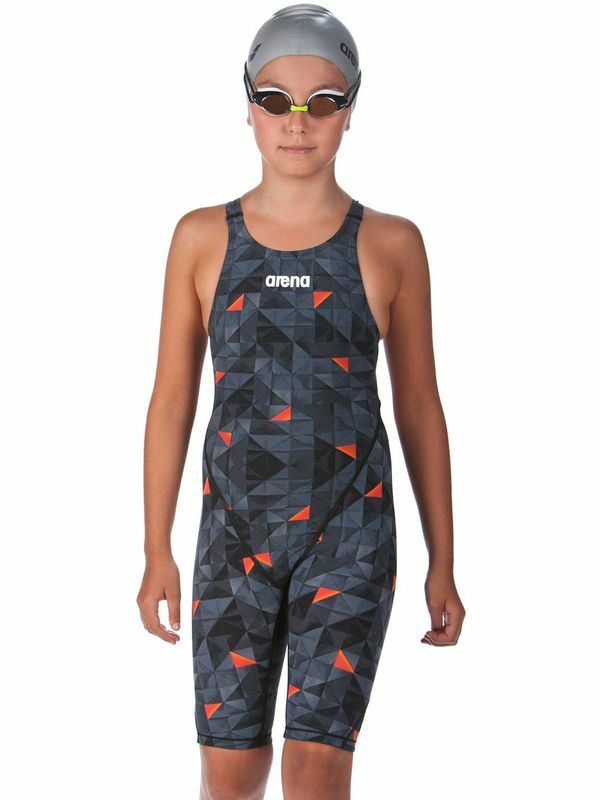 The Powerskin ST 2.0 Limited Edition Black Girls Kneelength marks the next-generation in one of arena's longest-standing FINA approved range of racing suits. Building on the original ST’s proven legacy, the 2.0 makes a leap in the terms of technology, performance, comfort and durability, while still retaining the ST's trademark value-formoney appeal. The 2.0 makes a leap in terms of technology with the manufactured 3 hi-tech knitted fabrics for improved functionality and resilience, the ST 2.0's new design boosts core support and compression, and enhance comfort through ergonomic seam placement and reinforced shoulder strap construction, providing greater support in the shoulders and upper back, elevating overall performance to a new level when it matters most. Powerskin ST 2.0 Limited Edition Black Girls Kneelength is manufactured by Arena Swimwear, the Official Swimwear & Equipment Partner to Swimming Australia and the Australian Dolphins Swim Team. For over 35 years Arena has equipped the world’s leading swimmers and lovers of watersports with racing, training, and leisure swimwear and accessories built on a foundation of in-depth research, technical know-how, and an unyielding commitment to quality. Arena is the authentic waterwear brand for athletes and real sport lovers. Wherever there are water sports, there is Arena.